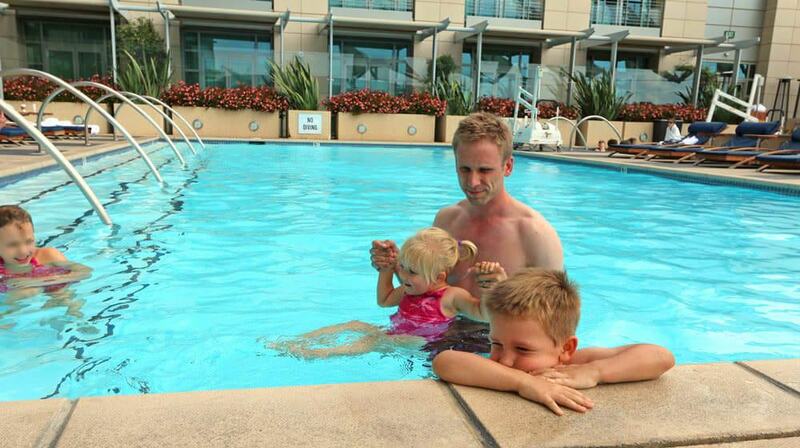 Our family went on vacation to San Diego a few weeks ago and stayed at the Omni San Diego Hotel. 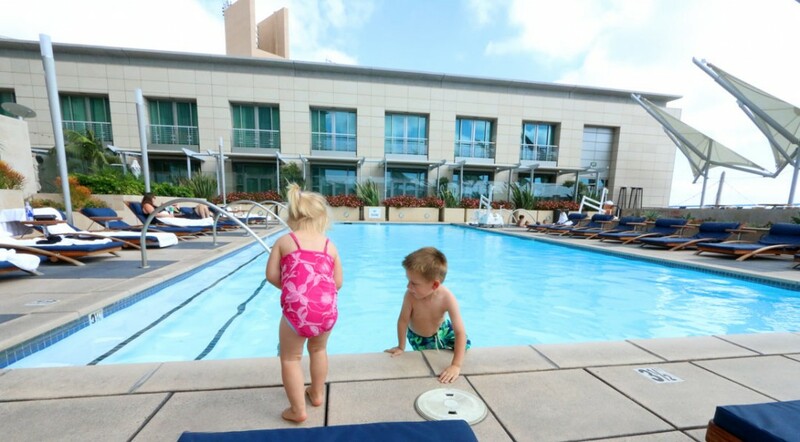 Normally a hotel is just the place you stay while you’re having fun elsewhere, but in this case, Omni San Diego was very much a highlight of our family vacation. We were so impressed with every aspect of this gorgeous hotel. 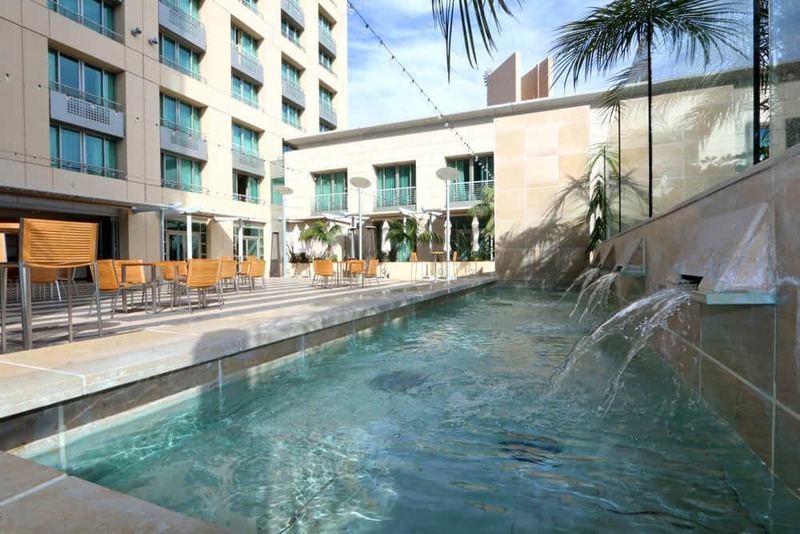 If you’re looking for a family-friendly hotel or romantic escape, appreciate a great location, enjoy fabulous views, are a baseball fan, enjoy swimming on a rooftop deck, like superbly comfortable rooms and beds, and love to sit in the lap of luxury with top notch service – like us, you’ll fall in love with Omni San Diego. 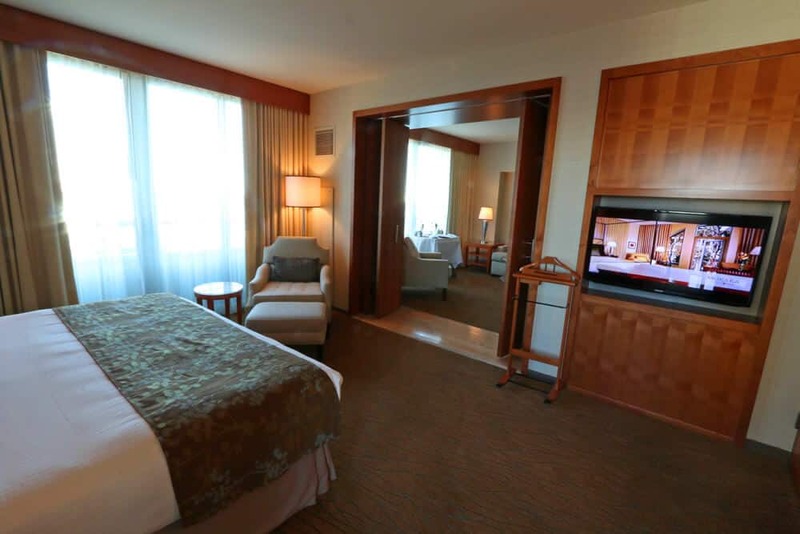 Come take a virtual tour and see for yourself. 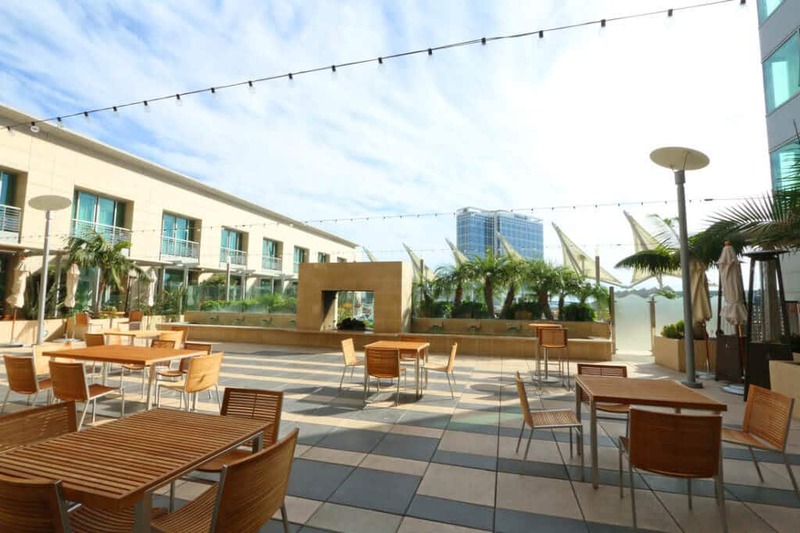 Located in the heart of the historic Gaslamp Quarter of San Diego with great dining, night life and shopping, Omni San Diego Hotel is a 4-star 32-story luxury downtown hotel connected via a skybridge to PETCO Park, home of the San Diego Padres. 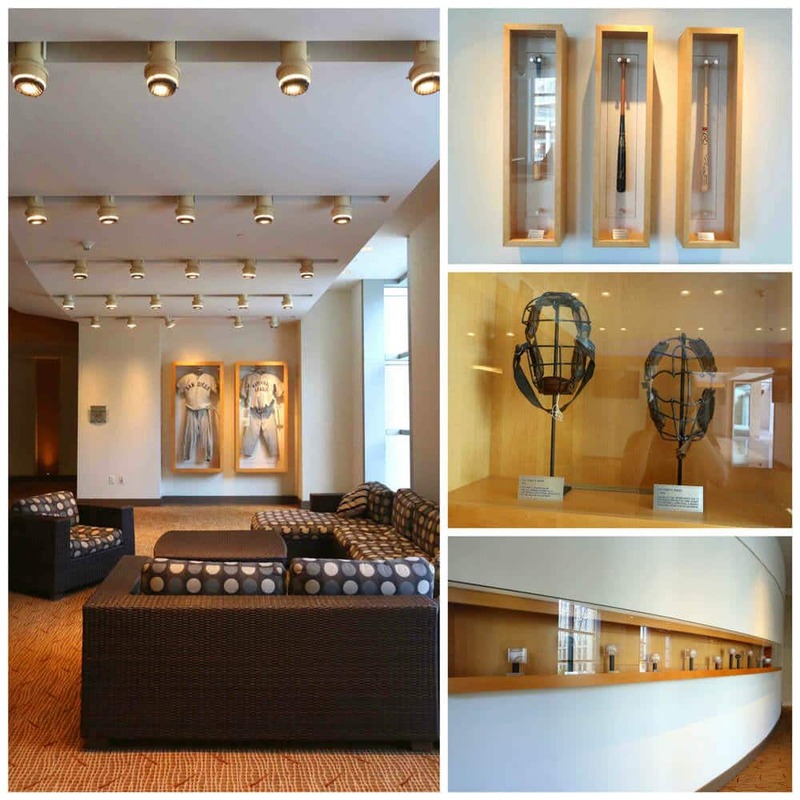 In fact, the stadium and hotel were built by the same owner and they both share a love for baseball – historical baseball memorabilia is on display throughout the hotel. We weren’t aware of the strong baseball connection at the time we booked our stay, but it was a fun surprise when we arrived. 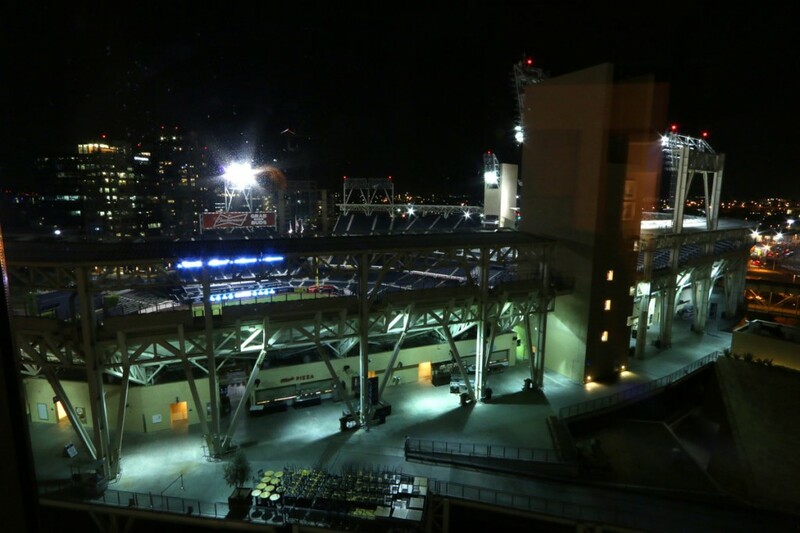 Our room had a full view of PETCO Park and it was fun to explore the baseball memorabilia. Baseball runs deep in the veins of our family, the Killebrews. My husband’s father played professional baseball, his grandfather, Baseball Hall of Famer Harmon Killebrew, played for the Twins and we have a cousin who was recently drafted by the Cleveland Indians. 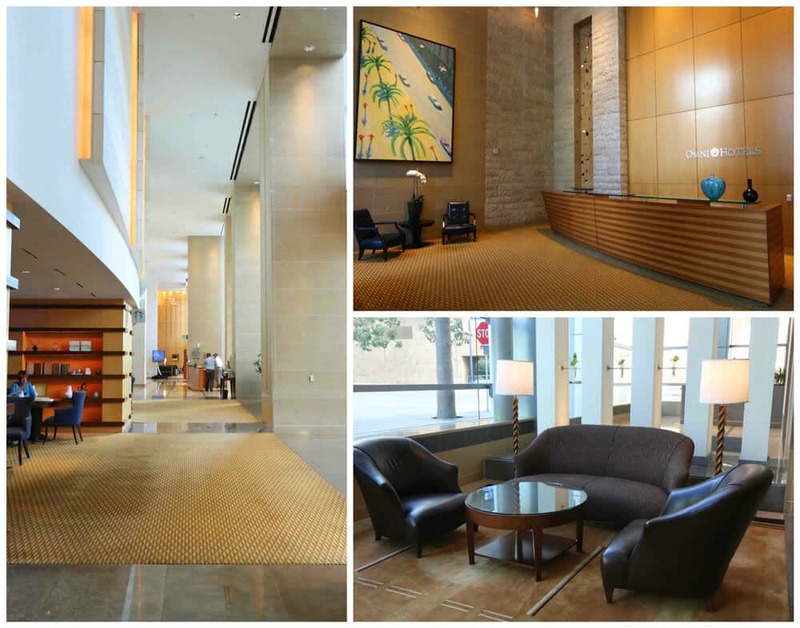 Omni San Diego Hotel is the perfect location to enjoy the city’s top sites and attractions. We visited the San Diego Zoo, SeaWorld (click to read about our experience), Balboa Park and Coronado Beach, to name a few, and everything was within a short drive from the hotel. 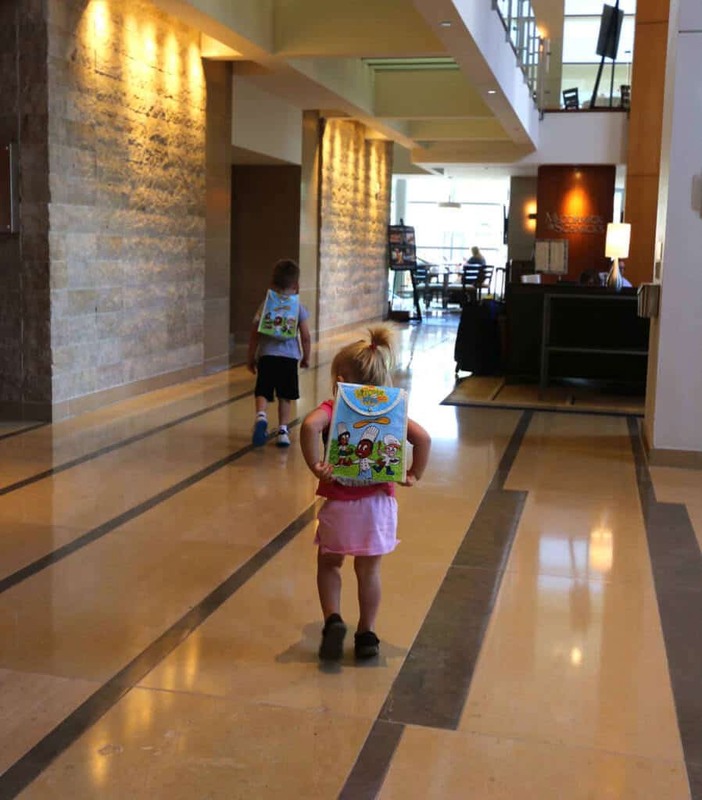 Upon arrival the front desk was extremely friendly and handed our kids two complimentary Omni Kitchen Kids backpacks filled with goodies to take along. They eagerly put them on, excited to get to our room to unpack them. 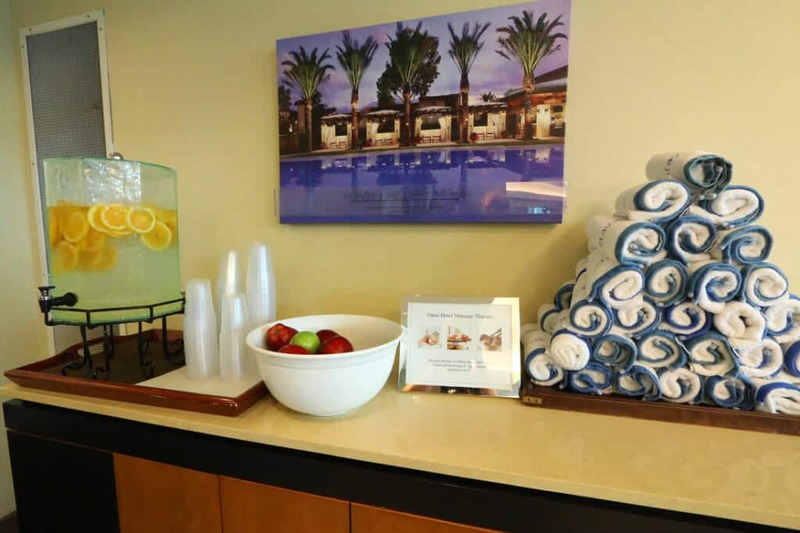 Throughout our stay at Omni, whether we were coming or going, the staff always greeted us with smiles and made us feel very welcome. Their valet service was the best we’ve experienced. Every time we picked up our car we found ice cold bottles of water waiting for us in the cup holders. 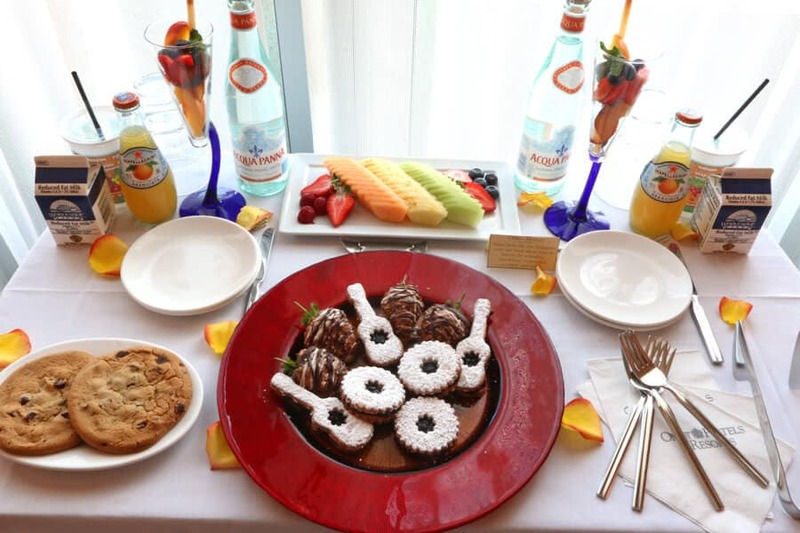 And added to that was Omni’s generous welcome gift: A delightful spread of fresh fruits, cookies and milk, sparkling water and Italian soda, complete with cute cups for our kids and a sprinkling of fresh rose petals. Our kids made themselves right at home in our room. 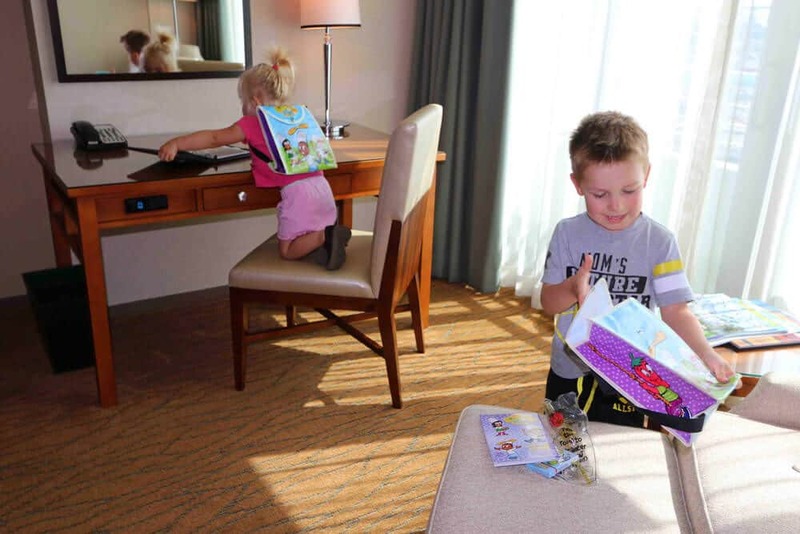 Our kids were so enthralled with their Omni Kitchen Kids backpacks that they insisted on taking the backpacks with them throughout the days’ activities. And boy did they come in handy at the restaurant when we went out to eat that evening! They made good use of their backpacks, our 4 year old son especially. That evening he insisted on wearing it with him around town and out to eat and the next day he even wore it to the beach! 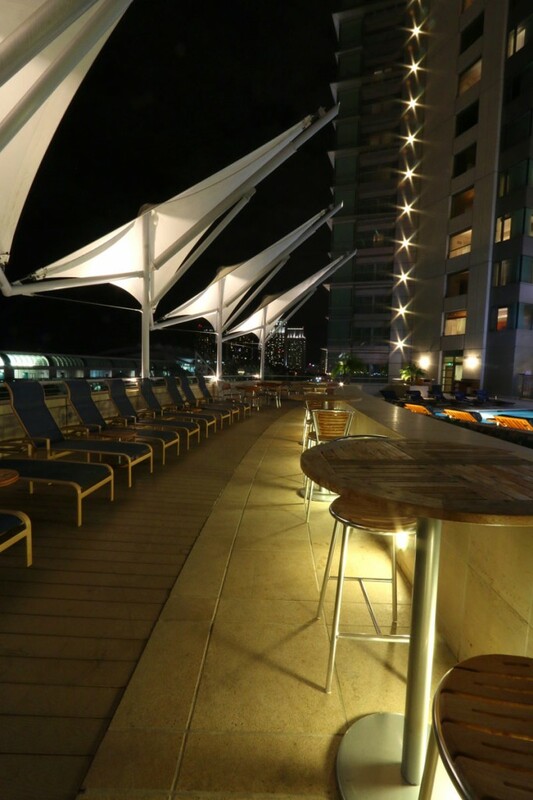 Omni San Diego is very contemporary in its design and the decor, color scheme and lighting are cheerful and inviting. 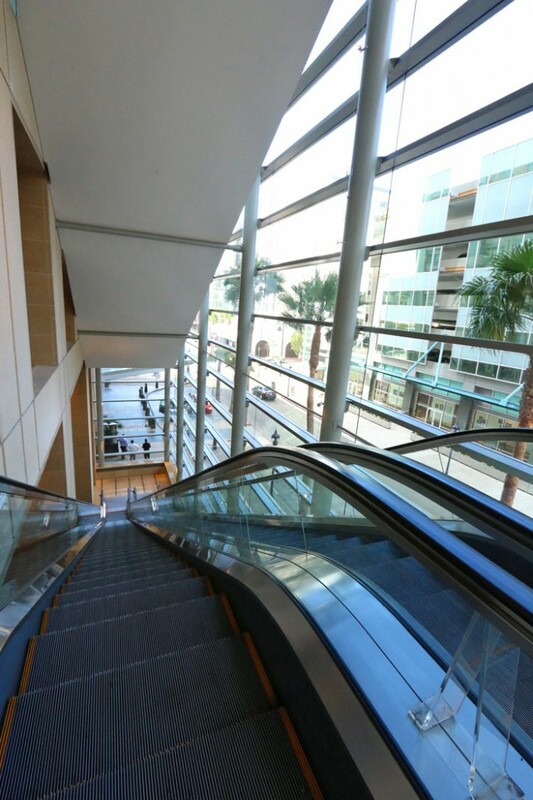 The front of the hotel is glass, emitting lots of cheery light, and a long escalator runs parallel to the windows, offering views of the sunny city. 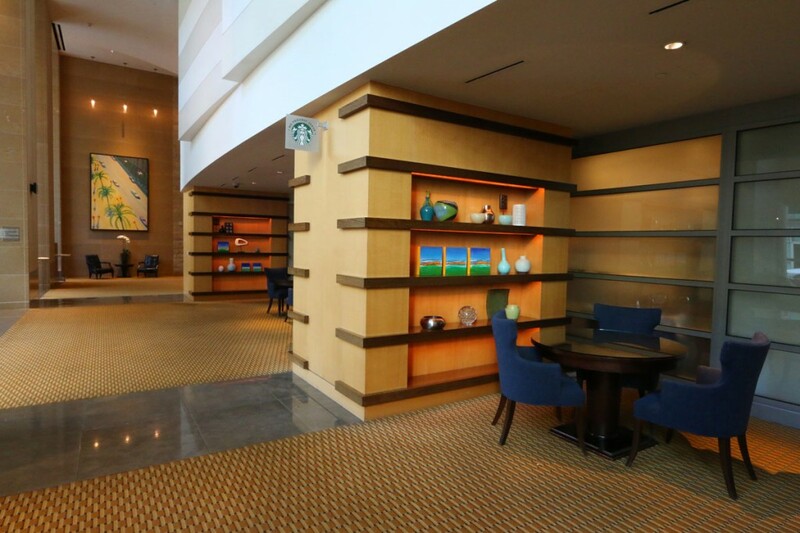 Upstairs from the lobby on the same level as the gym and pool you’ll find a nice collection of baseball memorabilia, Omni San Diego’s tribute to the All-American sport: Autographed baseballs and bats, historic jerseys and catcher’s masks, some of them dating back to the 1800’s. Down the hall is the gym. 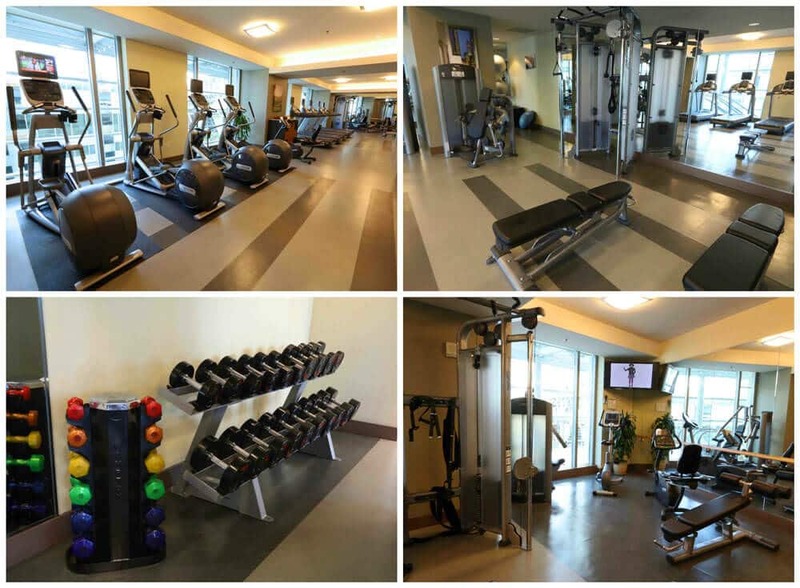 It’s one of the nicest and best-equipped hotel gyms we’ve seen. Like the rest of the hotel it’s bright and cheerful. 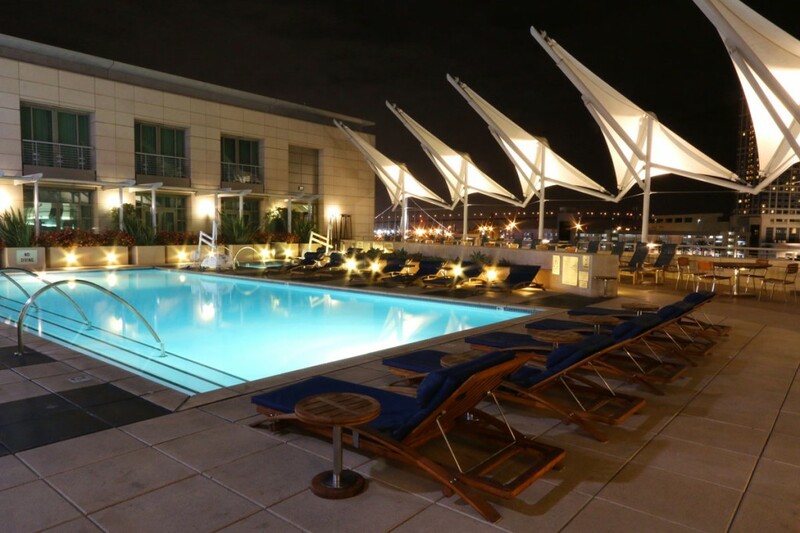 Across the hall is the rooftop deck with the pool and it is simply gorgeous! The setting, the views, the pool…it was so nice coming back to this after a long day of site-seeing and we had such a blast unwinding out here. You’ve got to see this. 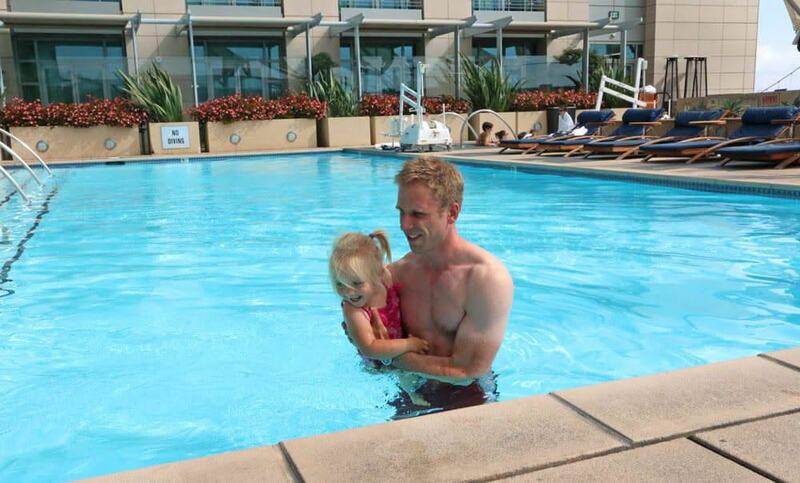 Even in October, we enjoyed 80 degree weather and the temperature of the heated pool was just right. Most of the time when we stay in hotels on vacation we rarely make use of the pool, but with a pool like this in such an fabulous setting, we couldn’t resist and our family had a ton of fun! And the other patrons were very kind not to give us too hard a time over our Washingtonian farmer’s tans. It was time to head back to our room and get the kids ready for bed. 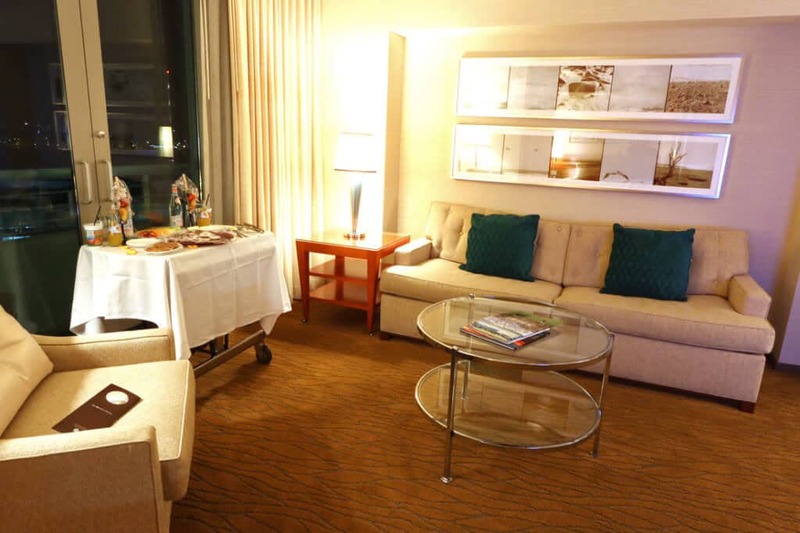 Our corner suite was exquisite. Exquisite. I cannot overstate it. 640 square feet of pure luxury. 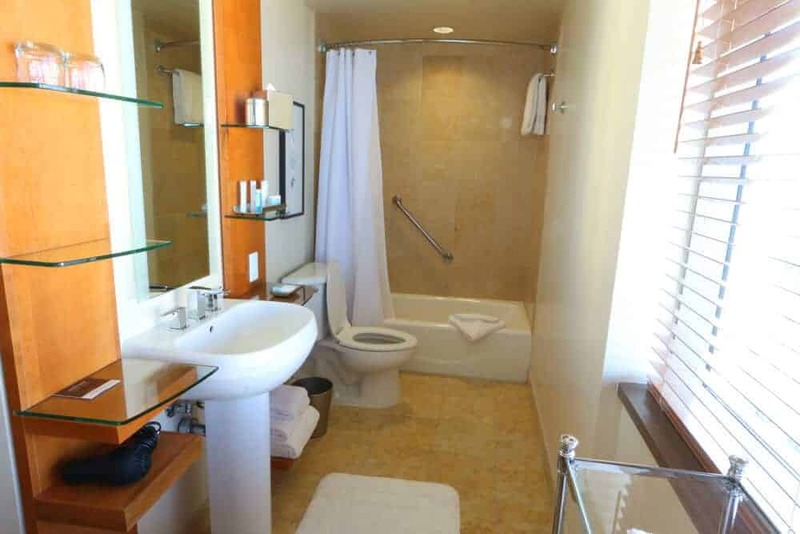 It was immaculately clean, spacious, and tastefully decorated with absolutely incredible views of the San Diego Bay, Coronado Bridge, ballpark and city skyline. More so than any hotel room we’ve stayed in, this felt like home away from home. We loved it. Both the living and bedroom were equipped with 40” LED flat-screen HDTV’s, WiFi, and individual climate control. Our room was peaceful and quiet and the king bed was so comfortable. 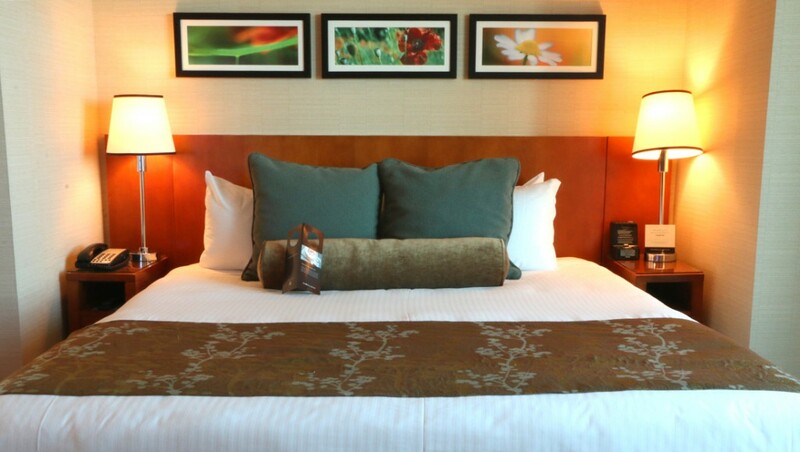 We relished each night of sleep on that fabulous mattress, plush pillows and luxurious linens. The bathroom was so clean it was almost sparkling. Modern, bright, cheerful and well-stocked, the bathroom was also among the nicest we’ve seen. 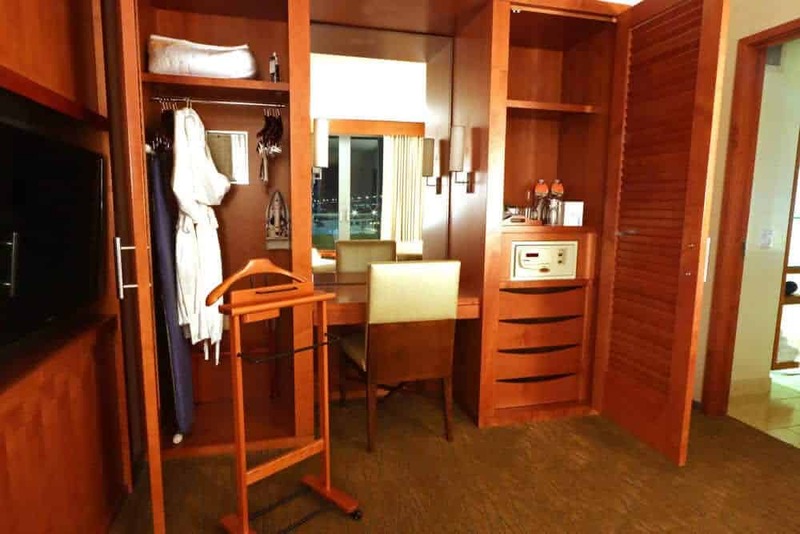 We also enjoyed access to the plush terry bathrobes, fully stocked refreshment center, iron and ironing board, electronic safe and an executive work desk. Another addition that impressed us was the valet rack, something we’ve rarely seen included in hotel rooms. 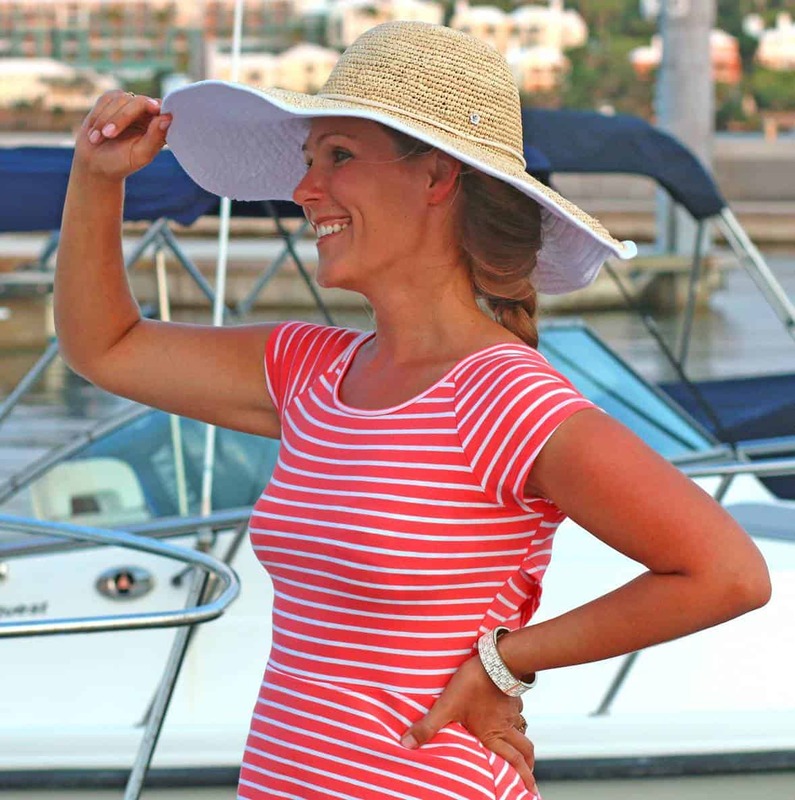 We often take dress-up clothing with us on our vacations and my husband was able to hang up his suit. It was a nice touch. And as if the room itself wasn’t already enough, the views sealed the deal. Take a look at this. Absolutely beautiful. Wow, the views were awesome! And on the left you’ll notice PETCO Park. And check this out: From our bathroom window we had a full view of the stadium. So close, we probably could have tossed a stone and hit it. Had a game been in session we could have pulled up a couple of chairs, pulled out the snacks, and made a night of it! Inspired by the views from our room, once the kids were asleep my husband stayed inside while I stepped out to take a few outdoor pictures. The Gaslamp Quarter was alive and bustling. 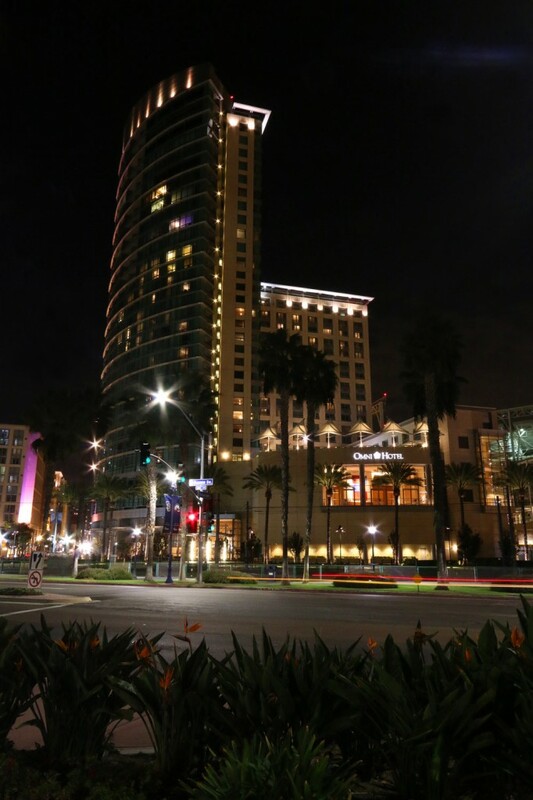 I stepped across the street to take in the view of Omni San Diego Hotel. I’m still in awe. I just love this place. 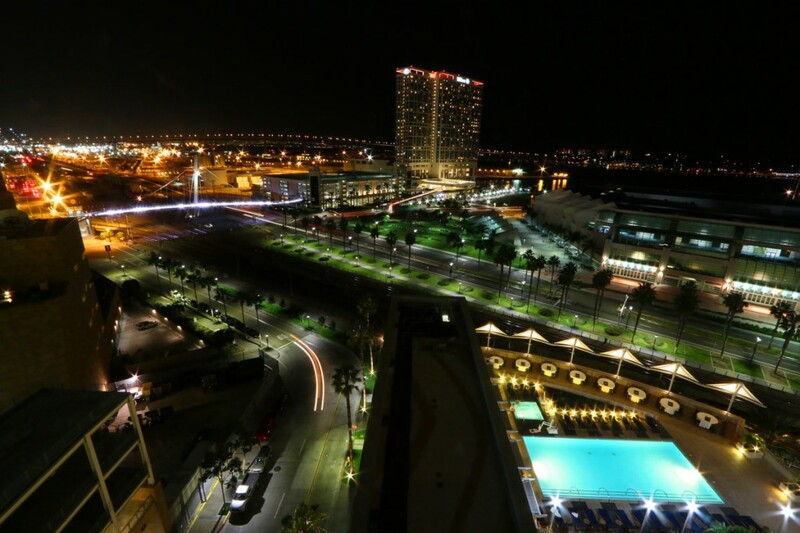 As beautiful as the rooftop deck and pool were in daylight, I wanted to see them at night so I headed back up. I can’t even describe it. It was so peaceful and almost magical. 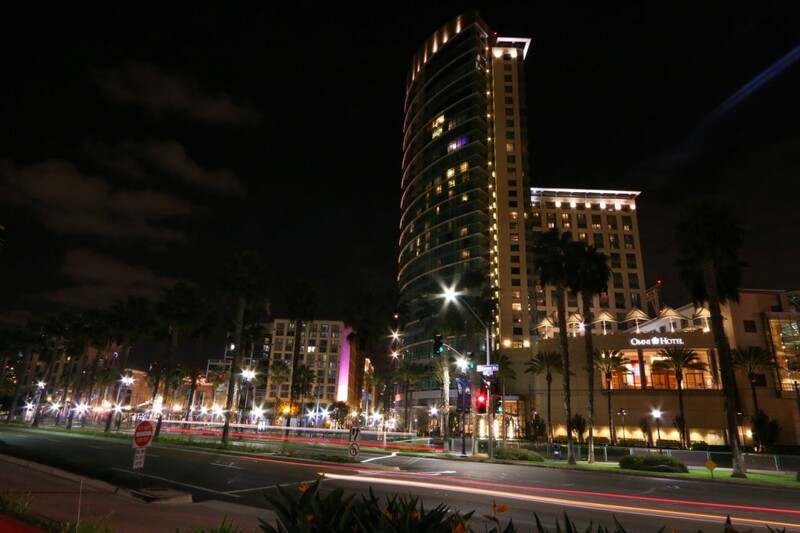 If you’re planning a vacation to San Diego – whether alone, as a couple or with your children – consider Omni San Diego Hotel. 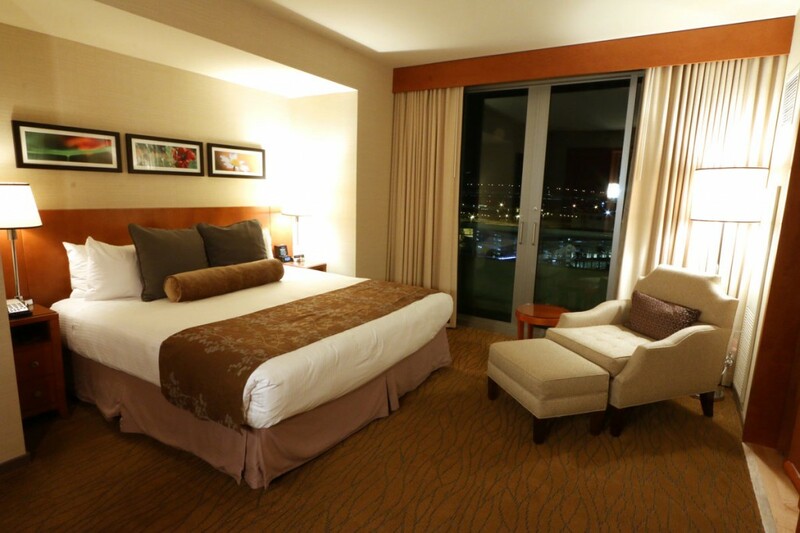 With unparalleled comfort, service, views and location, we cannot recommend it highly enough. 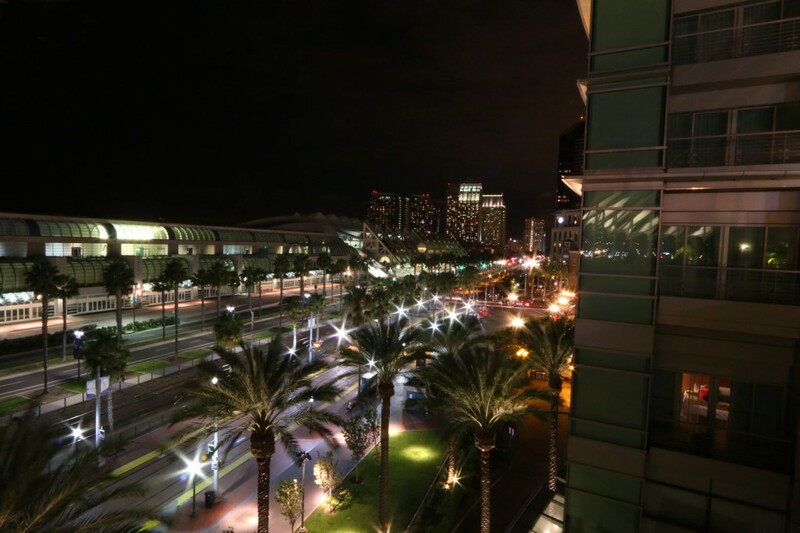 We had a wonderful time in “America’s Finest City” and Omni San Diego Hotel played a central role. We flew back home with memories our family will cherish forever. Planning a visit to the San Diego Zoo or SeaWorld? 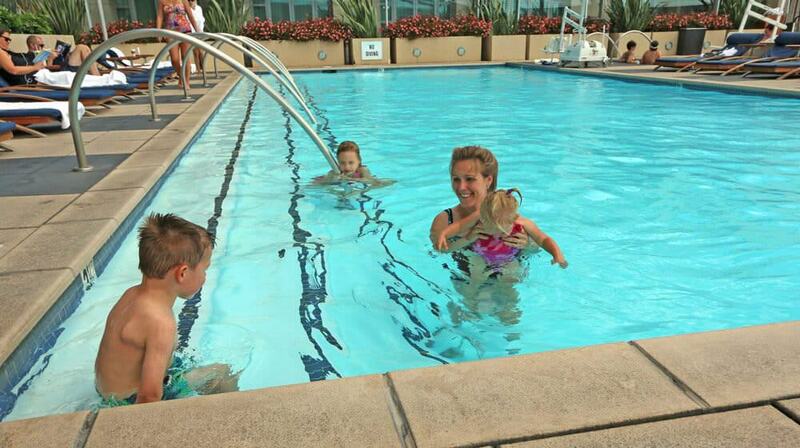 Read about our family’s experience! 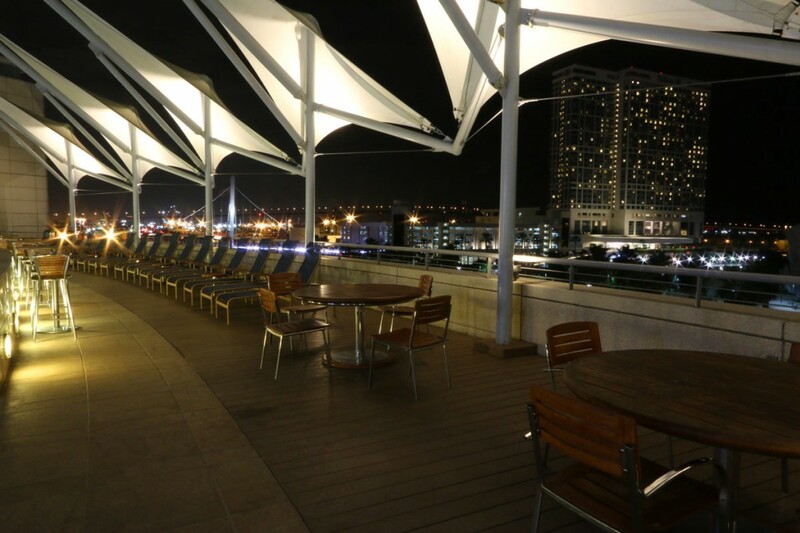 Also check out our dining experience at the gorgeous Bali Hai Restaurant. More San Diego fun and recommendations to come! 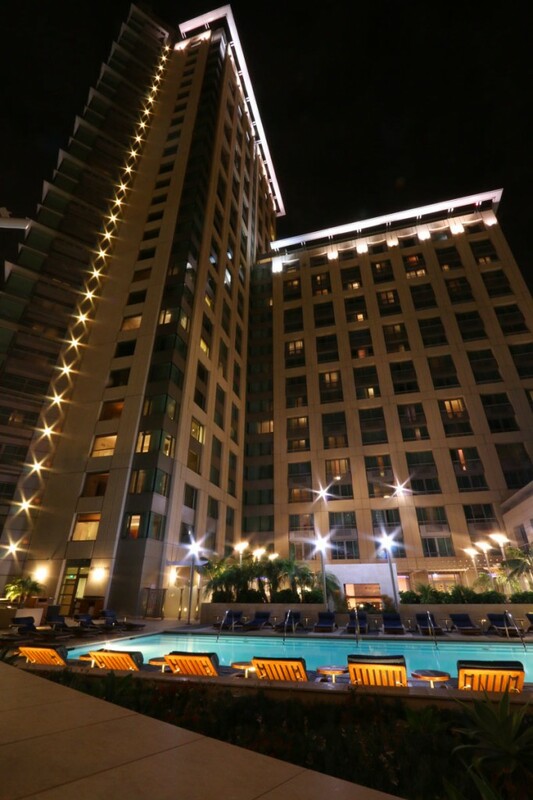 Disclosure: Omni San Diego hosted us for our stay without any obligation to write a positive review. As always, all opinions are entirely my own. I really appreciate the compliment, Catherine! Photography is always enjoyable when the subject matter’s inspiring :) I’m glad you found this article helpful and thanks for reading! I’ve stayed at two other Omni locations before and loved them both. This was looks particularly excellent. Thanks for sharing your experience, your photographs are fantastic. 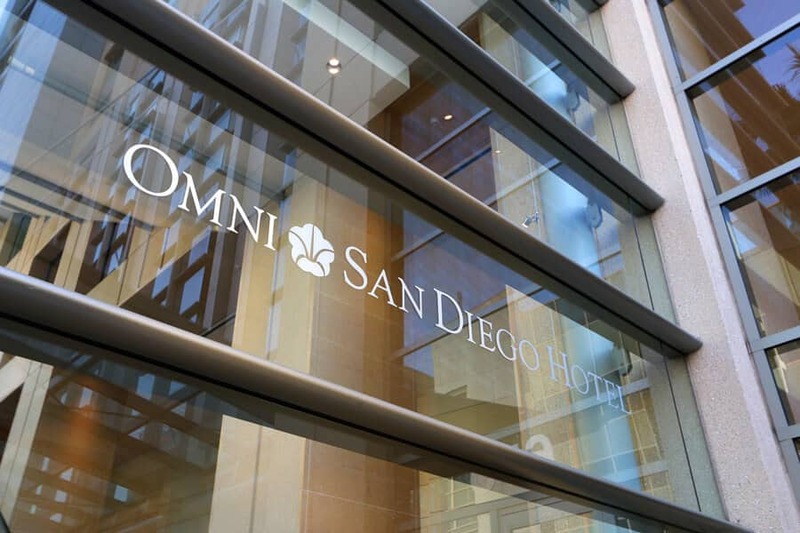 Will definitely look into Omni San Diego the next time I plan a trip to southern California. Thanks so much, Nathan! It’s always a pleasure to share finds like this with my readers. Omni San Diego Hotel was fantastic! This is a great and thorough review. 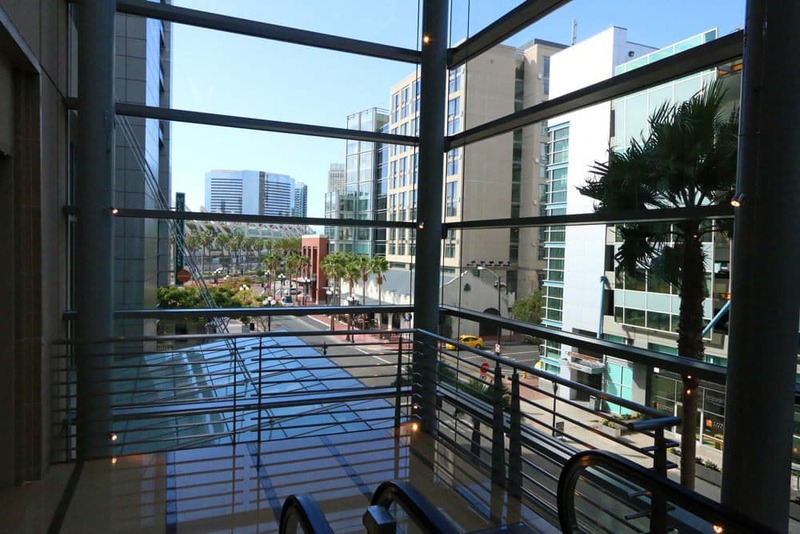 The hotel looks fantastic and the location next to PETCO park is definitely a big plus. The next time I travel to San Diego this will definitely be at the top of my list of places to stay. Thanks, Vincent, you won’t be disappointed! Say “hi” to San Diego for us! 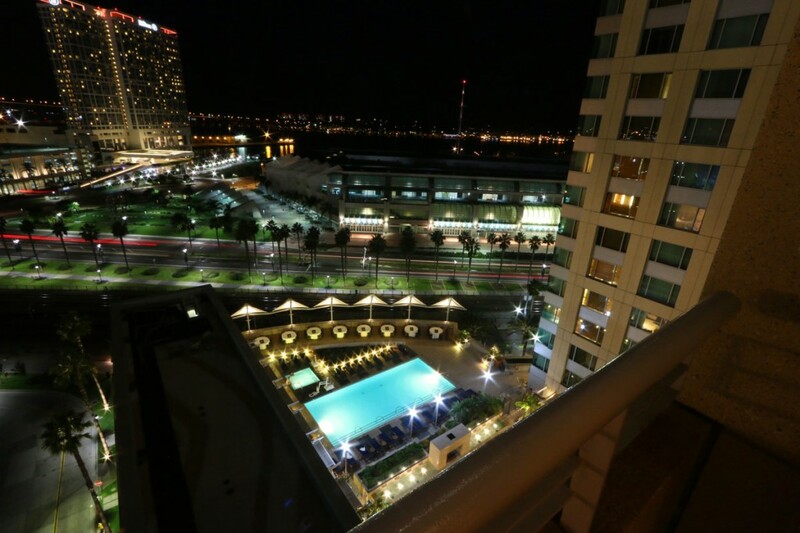 Like Nathan commented I have stayed at other Omni properties and have always been very impressed. It looks like their San Diego location is no exception.They are always my first choice if they have a location where I travel. Thanks for the great review. Now I know what to look forward to the next time I visit San Diego. We really, really enjoyed it and are looking forward to staying at some of Omni’s other locations. We’ve stayed here twice and have never been disappointed. It’s an amazing place to stay. 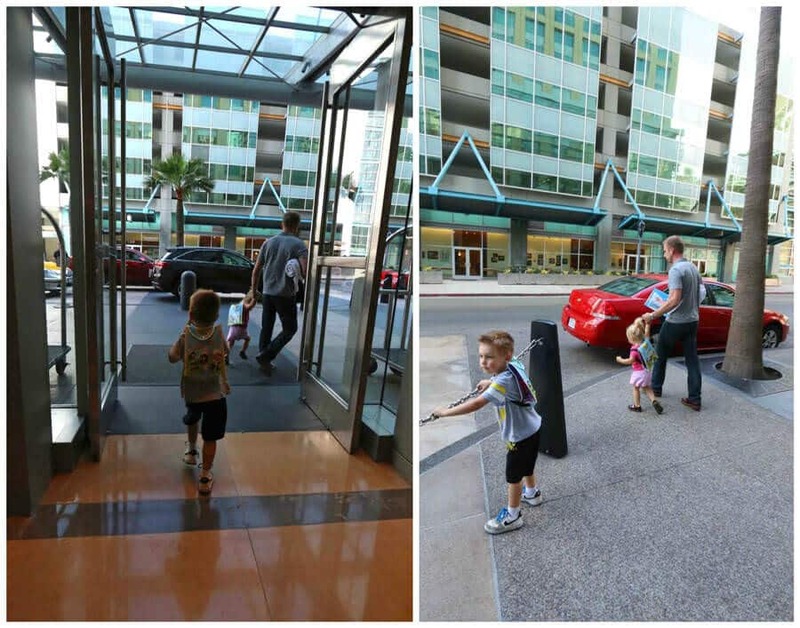 It’s great walking to the baseball game and even better that it only takes 5 minutes to get back to your room after a game. I agree, Kelli, we couldn’t have chosen a nicer hotel. The hotel itself and the location were fabulous. I was just in San Diego 3 weeks ago and walked past the Omni several times and our hotel wasn’t as nice! 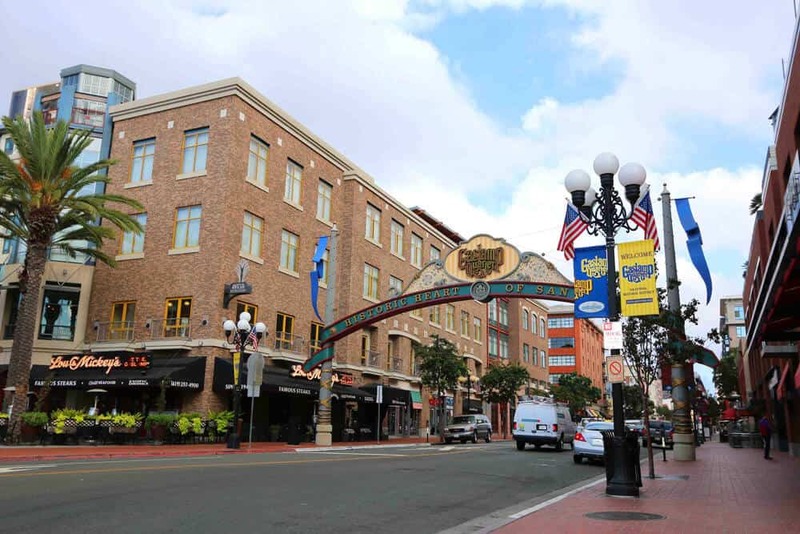 I loved the location, being so close to all the restaurants and shops in the Gaslamp District was awesome! 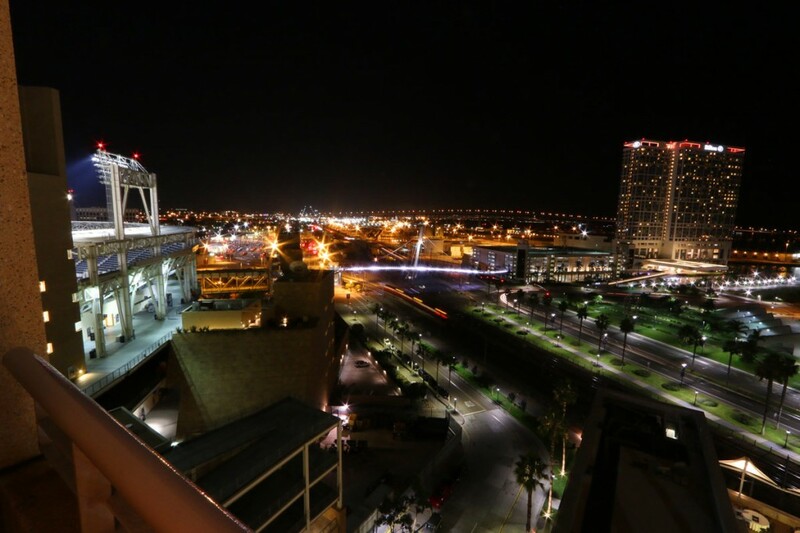 I definitely need to get down to San Diego more often and will definitely remember the Omni! Christina, Omni San Diego really is superb. We all loved it. If you get the chance to stay there on your next visit you’ll be very happy you did! 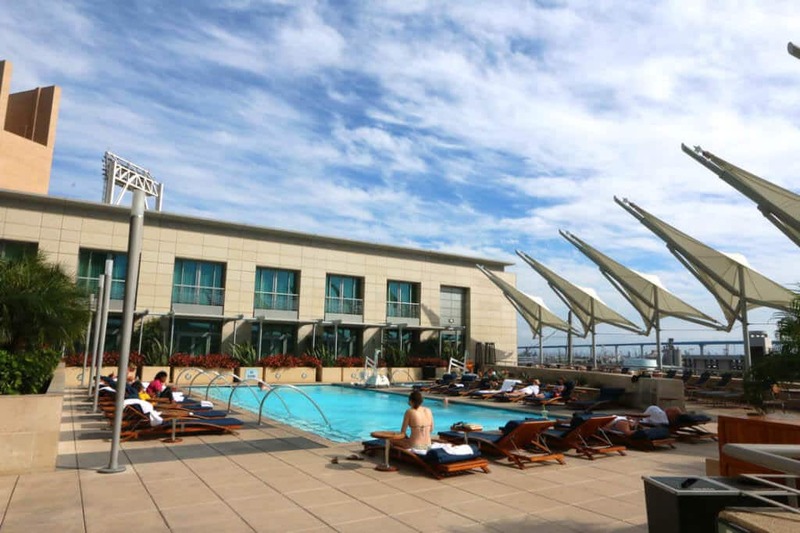 I didn’t know about such a nice hotel, the Omni in the San Diego Gaslamp district! It’s a fabulous hotel in a great location, Cindy! Very cool, I had wondered about your last name and if there was any connection with Harmon Killebrew. Big baseball fan and love Omni’s location right next to Petco. Super nice review and pics, Omni looks awesome! It really is a great location, Sal. Thanks for reading and for the compliment! Thanks so much, Corinne! Our whole family loved our stay there! Your pictures are gorgeous! I already love this hotel. I think it can be so hard to find a place that’s fancy enough to be special (because it’s special to travel!) and yet totally family friendly. I also have small kids so I love your perspective. Thank you! Exactly, Lindsay! 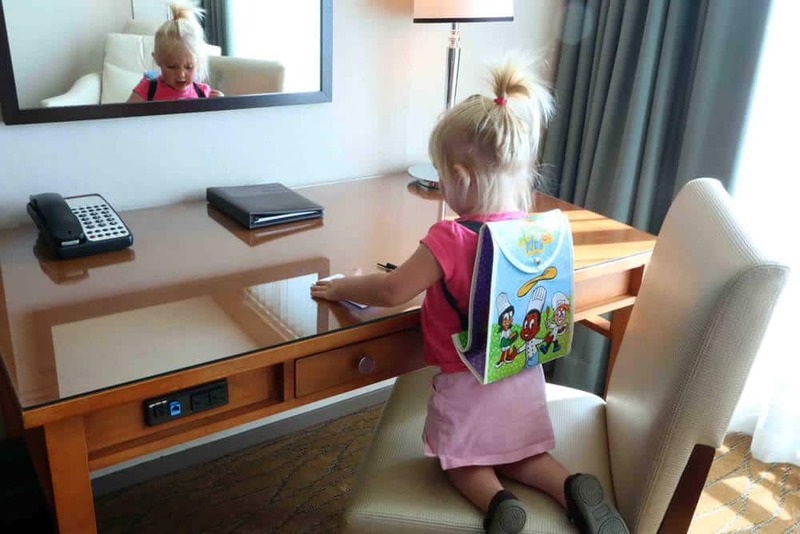 Even in being so modern and luxurious, Omni does a fabulous job of making it kid- and family-friendly. 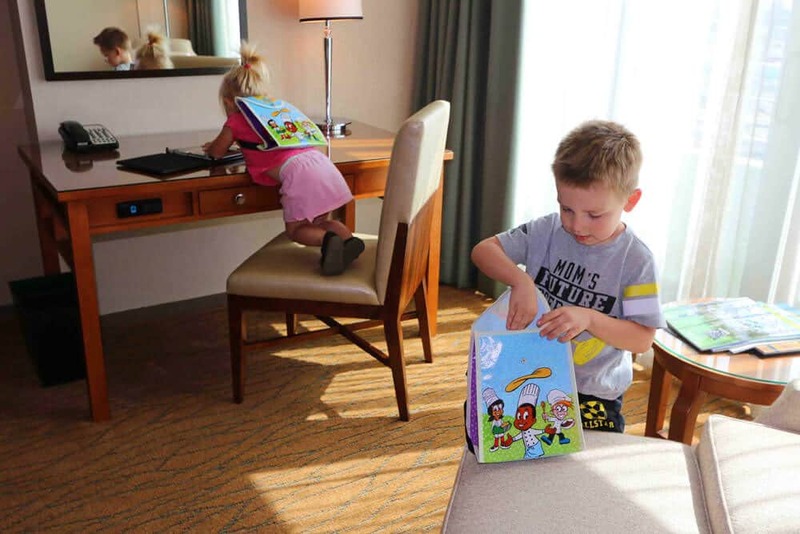 A few of their locations even have special children suites that like a kid paradise with children’s decor, colors and toys – we really want to check one of those out in the future! This hotel looks SO nice! I love going places where well behaved kids aren’t treated like pariahs. We need to put San Diego on our travel list. Wow! Looks really great there. Loved all the pics! Loved that breakfast especially! So adorable. Looks great for kids, too! Thanks for sharing! Love the guitar shaped cookies! I’ll definitely keep this in mind next time I’m in San Diego. My husband and I used to go their every year. You’ll both love it, Rachelle! 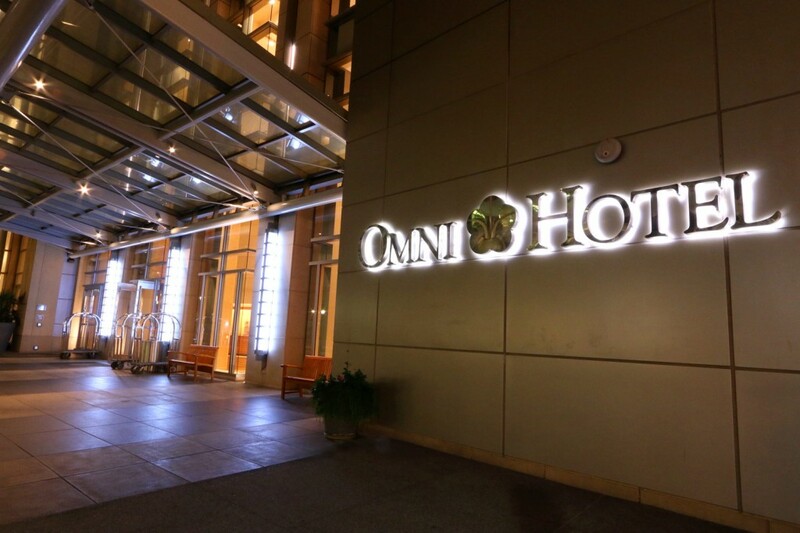 I love Omni hotels and this one looks so great. What views you had!